At Bevington safeguarding our pupils is our first and foremost priority. All staff are aware of their duty to ensure that children feel safe and happy at school. We recognise that Safeguarding impacts on all areas of an individual’s life and we remain vigilant, aware and responsive to all safeguarding concerns. All staff know the signs of abuse and how to report any concerns in accordance with our policies. 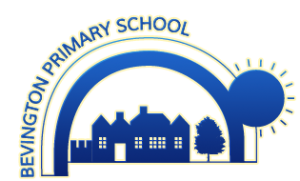 All children at Bevington Primary School must be able to place their trust and confidence in any adult working in the school. They must feel sure that they can speak about any worries or concerns they may have and that they will be listened to, taken seriously and responded to appropriately. All staff therefore know what to do if a child chooses to talk to them about anything which concerns them. For futher information, please see our Safeguarding and Child Protection Policy which can be found on our Policies Page.